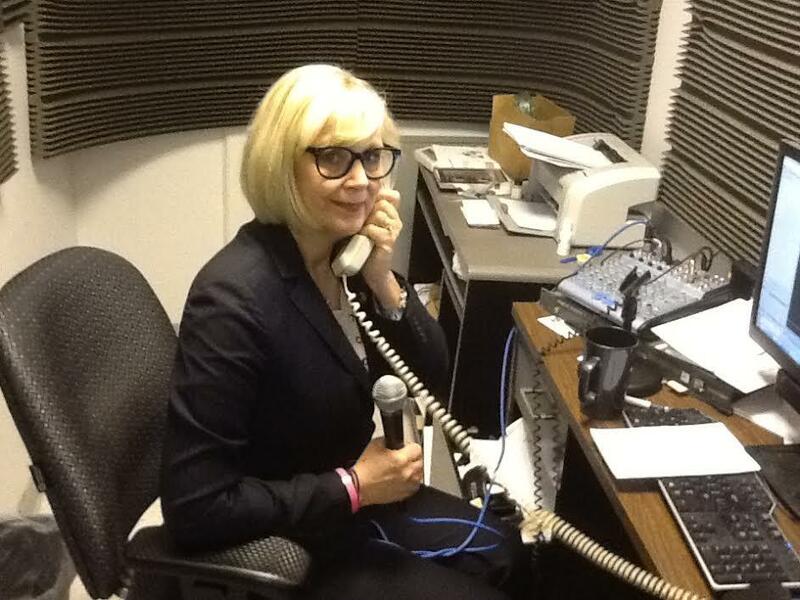 The Politically Speaking podcast team of Jason Rosenbaum and Jo Mannies welcomes state Rep. Stacey Newman, D-Richmond Heights, to this week's show. Newman, whose 87th district includes some of the region’s most affluent suburbs, discusses at length her ongoing role in two of the state’s most controversial topics: gun rights and photo IDs at the polls. Newman’s district includes all of Clayton and parts of Ladue, Richmond Heights and Webster Groves, as well as Washington University and Fontbonne University. Originally from the Kansas City area, Newman is a former flight attendant with TWA. She was elected to office in 2009, winning a special election to complete the term of former state Rep. Steve Brown, D-Clayton. Brown, a lawyer, resigned amid the FBI probe over his role in the campaign debacle that led to a prison sentence for then-state Sen. Jeff Smith, D-St. Louis. Before beginning her legislative career, Newman was active in progressive politics. She was the founder and executive director of Harriett’s List, a statewide political action committee honoring the legacy of former Lt. Gov. Harriett Woods; the executive director of the Missouri Women’s Coalition; and the women’s vote director for both the Missouri Democratic Party and Democratic National Committee. Active in pressing for background checks for gun purchases, Newman also participated in the Million Mom March in 2000. Her daughter, Sophie, then 6 years old, attracted national attention that same year in the battle over gun rights when she appeared on Rosie O’Donnell’s TV show. In the Missouri House, Newman has been a leader in the battle against gun-rights proposals that she believed were dangerous. She also has been an outspoken opponent of the proposed requirement that all voters must show a government-issued photo ID at the polls. The court fight over Amendment 5, a gun-rights measure approved by voters last fall, reinforces her complaints last year that the measure was poorly written. A lower court has ruled that the constitutional amendment would allow convicted felons to have guns. Newman said that the measure’s sponsors engaged in “clear pandering’’ to the gun industry. She believes the public has been misled about the consequences of a mandated government-ID for voters. She says it would discriminate against the elderly, the disabled, women and the poor – all of whom are less likely to have a driver’s license, the main form of allowable ID under the proposal. She said that many of the affected voters don’t have access to “the underlying documents’’ – such as birth certificates and marriage licenses – needed to get a government-issued ID. She doubts that the Missouri state government can come up with the millions of dollars needed to pay for the documents or a driver’s license for people who can’t afford to obtain them. Newman says Republicans pressing the issue are really engaged in “a voter suppression effort’’ to block would-be voters more likely to back Democrats. She has fond memories of state Auditor Tom Schweich, a Republican who lived in her district. She considered him a friend and recounted their "very warm, neighborly'' relationship. The Missouri House has given first-round approval to two measures to establish early voting, also known as "advance voting." The first, House Joint Resolution 90, would allow for early voting if voters pass a proposed constitutional amendment. The second is the implementing bill, HB 2271. The Missouri House has given first-round approval to its version of the gun control nullification bill, but not before softening the language a bit. 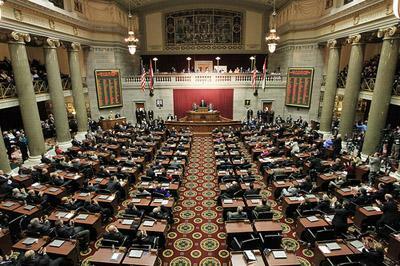 The Missouri House has passed yet another bill that would expand the rights of gun owners and reduce the role of the state Department of Revenue. Updated at 2:00 p.m. with quotes from State Reps. Mike Leara (R) and Stacey Newman (D). Lawmakers proposing gun control legislation could end up in prison under a bill introduced by a Missouri House Republican. Rep. Mike Leara, of St. Louis County, said Tuesday that he has no illusions that his bill actually will pass and become law. This week’s episode of Politically Speaking features Missouri Republican Party Chairman John Hancock, who has been under fire for weeks, in a candid conversation with St. Louis Public Radio reporters Jason Rosenbaum and Jo Mannies. This week’s Politically Speaking is a southeast Missouri affair as St. Louis Public Radio’s Jason Rosenbaum and Jo Mannies welcome House Majority Leader Todd Richardson to the show.